Professor Christine Smart, director of the School of Integrative Plant Science, moderates a panel discussion about ecosystems of innovation at the New York Loves Food II conference Nov. 13 at Cornell AgriTech. Innovation in food technology and farming can drive growth in the New York economy as companies and scientists partner to build on existing advantages and overcome challenges, according to experts from across the state. Policymakers, industry thought leaders and experts from the College of Agriculture and Life Sciences (CALS) gathered Nov. 13 at Cornell AgriTech in Geneva, New York, to discuss ways to build an ecosystem of innovation in the state. New York, with more than 7 million acres of farmland, is an agricultural powerhouse. The state is a leader in vegetable and fruit crops, emerging crops like industrial hemp, and dairy. New York ranks second in the nation in number of licensed food processing companies, trailing only California, according to the U.S. Department of Agriculture. John Maggiore, director of policy in the office of Gov. Andrew Cuomo, noted the rapid growth of craft beverage producers in New York. Since 2012, producers of cider, wine and beer in the state have increased 120 percent. That growth leads to other opportunities, he said, drawing in tourists, restaurateurs and support industries. 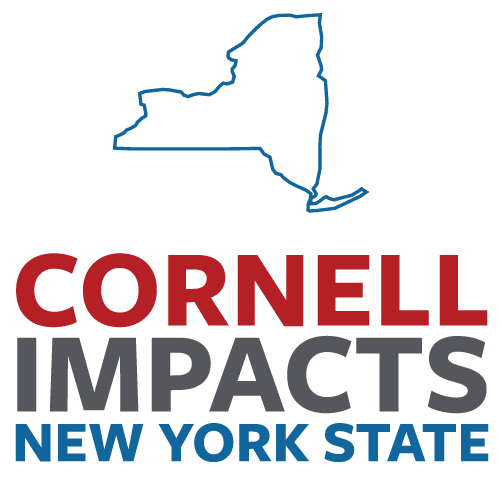 He noted the impact Cornell has had on growth in the state: “The bounty that Cornell provides to policy in upstate New York is immense,” said Maggiore. In the food sector over the past five years, 80 percent of new products on U.S. grocery store shelves were created by small companies that are disrupting markets rather than through large-company innovation, according to Kathryn J. Boor ’80, the Ronald P. Lynch Dean of CALS. She cited New York-based companies such as Chobani, Cheribundi and Love Beets, which all benefited from Cornell expertise and facilities. The state has key differentiators that set it apart from competitors, including ample access to water, its proximity to population centers and major cities on the East Coast, and intellectual capital on par with any region in the world. Despite those bright spots, panelists pointed to several roadblocks hampering growth. Lack of year-round growing seasons, high labor and energy costs, and the inadequate upstate transportation networks were all cited as barriers to development. Those in attendance said innovation is key to overcoming challenges, and the conference brought together decision-makers to help spur conversation and growth. Kevin Malchoff ’74, MBA ’75, director of Rich Products in Buffalo, said innovative thinking propels growth and keeps companies nimble. “Innovation means thinking broader than products and thinking more about business practices that make products successful,” he said. Consistent investment in startup companies based in upstate New York can spur growth across the region over time, argued Tom Schryver, executive director of Cornell Center for Regional Economic Advancement. “Leveraging assets involves perception. We need to stop saying what we can’t do in New York and instead what we can do,” Schryver said. During the conference, Boor noted five key areas for innovation: biological products and biopesticides; food processing; product development aimed at people under age 35; plant breeding; and digital agriculture. She cited Cornell economic research that for every food processing job, approximately five other jobs are created in the community. Jan Nyrop, the Goichman Family Director of Cornell AgriTech, emphasized the importance of technology integration in crop management. “Technologies such as mobile apps, drone imaging and phenotyping robots to survey plant disease are helping our faculty make a difference for New York state growers,” said Nyrop. Guenter Sauter, director of IoT and Decision Platform Offering Management at IBM, said the entire agriculture ecosystem needs to be considered to enable enterprises to make better decisions. He urged technology development as a way for New York to continue to thrive. Assemblywoman Donna Lupardo, D-123rd District, said upstate New York’s food economy has the potential to be a manufacturing powerhouse, but there’s still work to be done. She emphasized the role industrial hemp could play as a source of food and product development for growers and manufacturers. Assemblyman Felix Ortiz, D-51st District, of Brooklyn said urban areas benefit from a strong agricultural economy and fluency in how food systems operate. He urged education as the way to teach children about food production, and research into disparities for underserved communities in urban areas.